BRANTFORD – Wilfrid Laurier University will celebrate its third annual Global Engagement Week (GEWeek) from Feb. 1 to 5. 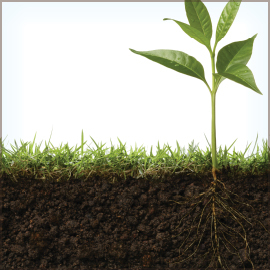 The multi-campus weeklong series of events, organized by Laurier International, will explore globalization and global systems, diversity and global opportunities through the lens of soil. Events include food tastings, public lectures, photo exhibits and film screenings. Laurier students will have opportunities to learn about large a variety of global issues and identity related to soil such as food security, land rights, urbanization, international justice, health, climate change, alternative fuels, medicine, ecosystems and biodiversity and water. “Breakfast Film Fest: Lessons from the Medicine Garden,” will screen short films created by students about transformative relationships with the natural world, supported by Indigenous knowledge. “Farming and Health,” will feature organic farmer and activist Devan Penney speaking about healthy soil and threats to food security connected to urban sprawl, Genetically Modified Organisms (GMOs) and industrial agriculture. Film screening: Hija de la Laguna (Daughter of the Lake) is a Peruvian documentary exploring the gold mining industry and its impact on Peruvians and their environment. “Around the World in 80 Plates,” gives students the opportunity to taste traditional meals from Thailand, Greece, Lebanon, Italy and England throughout the week. “Seeds of Change” invites students to make their own mini herb garden. Film screening: Director Sudz Sutherland and co-writer Jennifer Holness will introduce their film, Home Again. The film follows three characters who have been deported back to Jamaica, despite having lived in Canada, United States and United Kingdom for most of their lives. For more information, including the full global engagement week schedule, please visit www.wlu.ca/gew. For Brantford campus-related information, contact Mike Boylan, global engagement programming coordinator at mboylan@wlu.ca or 519-756-8228 x5437. For Waterloo campus related information, contact Anne-marie Henry, global engagement programming coordinator, at ahenry@wlu.ca or 519-884-0710 x4702.